Using the Python language, have the function FirstFactorial(num) take the num parameter being passed and return the factorial of it (e.g. if num = 4, return (4 * 3 * 2 * 1)). 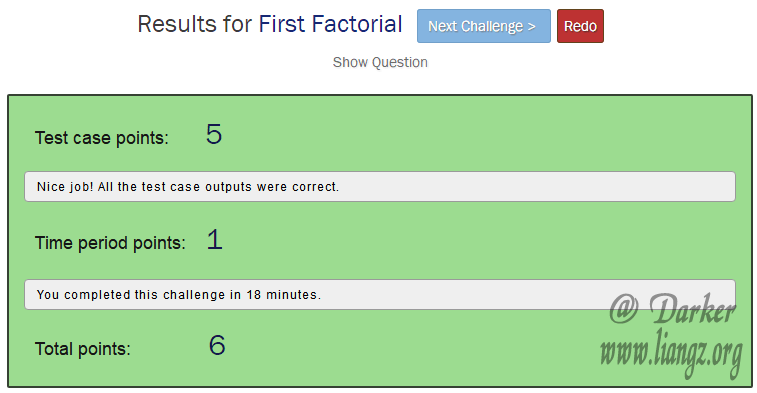 For the test cases, the range will be between 1 and 18 and the input will always be an integer. Think of how you can create a recursive function that multiplies N by N-1 by N-2 etc. Using the Python language, have the function FirstReverse(str) take the str parameter being passed and return the string in reversed order. For example: if the input string is “Hello World and Coders” then your program should return the string sredoC dna dlroW olleH.